Fish caught in Fukushima environment, show a very high level of radioactivity. Contaminated water from the Fukushima nuclear plant likely escapes into the sea, said Wednesday the Japanese nuclear monitoring agency. The plant managers have so far denied this problem, which experts fear long. The Regulatory Authority strongly suspected nuclear leak and urged the company Tokyo Electric Power Co. (TEPCO) to determine where she could come and limit risks, including the environment and the food chain. The monitoring agency will convene a committee of experts to look at ways to limit the damage. TEPCO has again cast doubt on the existence of a leak Wednesday. His spokesman, Noriyuki Imaizumi, defended the company saying that the increased level of cesium in samples collected from wells does not necessarily mean that the contaminated water from the plant flows into the ocean. The company analyzes and other water suspect that previous increases in the level of cesium have been caused by contaminated dust samples have slipped into the samples. However, Mr. Imaizumi added that TEPCO is open to preventive measures proposed by the monitoring agency. The Dai-ichi nuclear power plant in Fukushima was ravaged in March 2011 by an earthquake and tsunami. She feels for leakage problems of the water used to cool the reactors, slowing decontamination efforts. Marine biologists have raised the possibility that radioactive water flows continuously into groundwater. 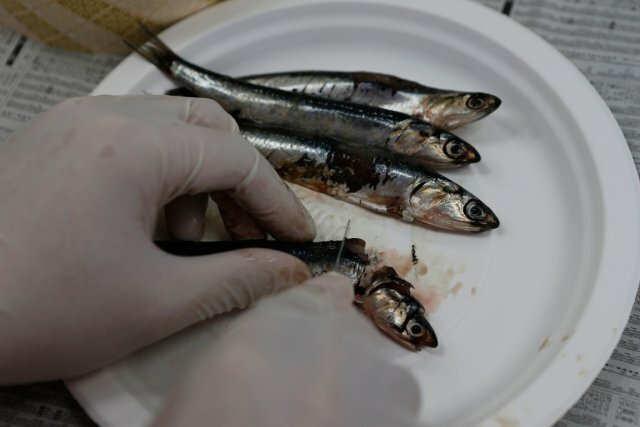 Analyzes of fish collected near the plant have demonstrated a high level of radioactivity. While TEPCO has recorded increases levels of cesium and strontium in the surrounding waters, she says most of the contamination was made at the time of the accident. She claims not to have detected a « significant impact » on the environment. According to the Nuclear Regulatory Authority, contaminated groundwater are likely to have reached the ocean.